What I do is to read a story only once, and if I like the basic idea, I just forget all about the book and start to create cinema. The foreword goes on to explain Hitchcock’s dilemmas with Rebecca & Jamaica Inn, and also how Hitchcock’s vision of The Birds gave us the film we have today. Certainly if any film captures an audience with its visuals, then that film must be The Birds. The Birds is, arguably, as iconic a film as Psycho, so there’s really no need to delve into plot other than to say it’s Birds vs Man. Yes there’s plenty of visual imagery in the story (the film was shot at Bodega Bay), but interestingly, for this reader, it’s the silences contrasted with the sounds that resonate in my memory. He got up and went out of the back door and stood in the garden, looking down towards the sea. There had been no sun all day, and now, at barely three o’clock, a kind of darkness had already come, the sky sullen, heavy, colorless like salt. He could hear the vicious sea drumming on the rocks. He walked down the path, halfway to the beach. And then he stopped. He could see the tide had turned. The rock that had shown in midmorning was now covered, but it was not the sea that held his eyes. The gulls had risen. They were circling, hundreds of them, thousands of them, lifting their wings against the wind. It was the gulls that made the darkening of the sky. And they were silent. They made not a sound. They just went on soaring and circling, rising, falling, trying their strength against the wind. The tapping went on and on and a new rasping note struck Nat’s ear, as though a sharper beak than any hitherto had come to take over from its fellows. He tried to remember the names of the birds, he tried to think which species would go for this particular job. It was not the tap of the woodpecker. That would be light and frequent. This was more serious, because if it continued long the wood would splinter as the glass had done. Then he remembered the hawks. Could the hawks have taken over from the gulls? Were there buzzards now upon the sills using talons as well as beaks? Hawks, buzzards, kestrels, falcons–he had forgotten the birds of prey. He had forgotten the gripping power of the birds of prey. Three hours to go, and while they waited the sound of the splintering wood, the talons tearing at the wood. So they lived in different worlds, their minds not meeting. Had it been always so? He did not remember. They had been married nearly twenty-five years and were two people who, from force of habit, lived under the same roof. The Little Photographer is the story of a young, bored, & beautiful married Marquise, so in love with herself, she can’t even imagine the trouble she invites to her doors when left to her own devices while on holiday. Kiss Me Again Stranger is the story of a young man who meets the girl of his dreams–or so he thinks. The Old Man is too tricky to describe and my least favourite story in the collection. 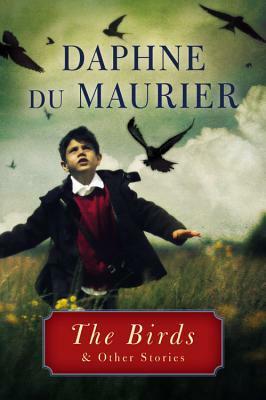 This collection of du Maurier stories is well worth reading for the intro and The Birds alone, but what’s interesting here is du Maurier’s range: horror, fantasy, crime and the psychological domestic drama. “Sisters are,” author Jane Dunn tells us “special,” and with a backlist which includes the book, Virginia Woolf and Vanessa Bell, it’s easy to conclude that the author, Jane Dunn, is drawn to these “protean” relationships. Dunn admits in the intro to Daphne du Maurier and Her Sisters: The Private Lives of Piffy, Bird and Bing to a fascination with the du Maurier sisters: Daphne, Angela and Jeanne. Not only does the author find it “psychologically interesting” that Daphne’s fame “so eclipse[d]” her siblings, but she found it even more “intriguing” that the three entirely different sisters who led vastly dissimilar lives were so “strongly imprinted with family values.” Before arriving at the book, I was unaware that Daphne du Maurier had any siblings at all, but then again, although I have read many of her novels, I knew very little about her private life other than a few facts about the fabulous du Maurier family and Daphne’s connection to the “lost boys” who inspired J.M. Barrie’s Peter Pan. For those who enjoy reading biography, Daphne du Maurier and Her Sisters: The Private Lives of Piffy, Bird and Bing comes highly recommended especially for those who have a healthy appreciation of Daphne du Maurier’s work. Some readers, I’m aware, prefer not to know the details of the private lives of the authors they read and enjoy. With this book, Daphne du Maurier fans will gain an almost-blow-by-blow account of exactly how each of her books came to be created. I’ve read my fair share of biographies and yet I can’t remember one in which events in the author’s life so clearly morphed into a novel, and author Jane Dunn carefully fleshes out Daphne du Maurier’s life, the books and the themes that became signposts of the various events that took place as well as the places that inspired several of her better-known works. But here I am allowing my description of the book to concentrate on the very talented Daphne du Maurier to the neglect of her siblings. As Jane Dunn explains, searching for information about Angela led to an “intriguing journey” while the search for Jeanne has been “blocked” by her lifelong partner who retains all of Jeanne’s paintings and papers and is “adamantly set against” any biography of the sisters. This explains why a clear image of Angela emerges while the portrait of Jeanne remains somewhat murky. Unusual for his generation, Gerald enjoyed his daughters’ company and this intimacy meant his influence on their growing minds was all the more powerful and potentially malign. Unusually for any generation, Gerald, confided his romantic entanglements with young actresses to Angela and Daphne and made an entertainment of it, inviting them to scoff at the young women’s naivety and misplaced hopes, and compromising the sisters’ natural loyalty to their mother, who was not included in these confidences. These young actresses were nicknamed ‘the stable’ by his daughters, who were encouraged to think of them as fillies in a race for the prize of their father’s attention. His daughters ‘would jeer, “And what’s the form this week? I’m not going to back [Miss X] much longer”,’ and they laughed as their father brilliantly mimicked the voices and mannerisms of the poor deluded girls. What’s so fascinating is that even though these three girls had, arguably, the same childhood environment albeit tainted with “manipulative favouritism,” that could so easily have led to bitter rivalry, individual characteristics were quickly clearly apparent. Already very unalike in character, both girls seemed to inhabit parallel universes, Angela’s emotional, connected to others and Daphne’s bounded only by her imagination and peopled with her own creations. With a macabre detachment she could dispassionately watch the gardener at Slyfield nail a live adder to a tree, declaring it would take all day to die, and return at intervals to watch it writhing in its desperate attempts to break free. Aunt Billy had given Daphne two doves in a cage and she found it tiresome to have to feed and care for them when she would rather be out doing interesting things. She was struck how Angela loved administering to her pair of canaries and sang while she cleared out their droppings and sprinkled fresh sand on the base of their cage. Daphne’s solution was to set her doves free and accept without complaint the scolding that would be forthcoming, for this was the price of her freedom from care. These sorts of patterns of behaviour only became more reinforced as the girls grew older. Angela became a great lover of Pekinese, a careful, devoted owner while several of Daphne’s dogs seemed to meet a sticky end. All three sisters exhibited a tremendous emotional bond with the houses they lived in and which they imprinted in various ways. Jeanne settled in “an ancient house and remarkable symbolic garden in the heart of Dartmoor,” while both Daphne and Angela were deeply rooted in Cornwall, and of course, all Daphne fans know about Menabilly– –“the love of her life.” This love of the region naturally seeped through to Daphne du Maurier’s work, and the novels Jamaica Inn, the House on the Strand, Frenchman’s Creek, and The King’s General were inspired by places in Daphne’s beloved Cornwall. The book charts the lives of the sisters through their relationships and creative careers. Angela was also a novelist, but unfortunately her novels were not as well-received as those of her sister, and now she’s almost completely forgotten. There’s a great moment recounted from Angela’s memoir, It’s Only the Sister in which Angela tells of an incident in which she was mistaken for Daphne and how a woman who seemed delighted to meet her, turned away, her disappointment blatant, with the utterance that became the book’s title. Daphne du Maurier and Her Sisters gives the sense that the three sisters were all fascinating, unique individuals, but also fascinatingly different. I came to the book with a deep appreciation for Daphne du Maurier’s work, and I left with a feeling that I would rather have liked Angela, one of the two forgotten sisters and also that it is a great shame that Jeanne remains in the shadows. Best of the seven Jim Thompson novels read for my noirfest: Pop 1280. The Killer Inside Me came a very close second, but the nasty sense of humour in Pop 1280 ultimately won the day. For crime, it doesn’t get better than Drive by James Sallis. Best classic noir: Build My Gallows High by Geoffrey Homes and Hell Hath No Fury by Charles Williams (both made into films, btw). Best Classics, French: Gobseck by Balzac. Russian: The Duel by Chekhov and The Eternal Husband by Dostoevsky. British: The Trumpet Major by Thomas Hardy. Best new British Fiction: The Old Romantic by Louise Dean, King of the Badgers by Philip Hensher–both of these were the second books I’d read by these authors and the reading enjoyment firmly sealed me as a fan of both. So thanks to all my readers and all those who left comments, and also thanks to the authors who sweated blood and tears over the novels that enriched my life beyond measure in 2011. With a good book, life is never boring. This brings me to My Cousin Rachel, a book du Maurier published in 1951–13 years after Rebecca. There’s also an excellent film version of this book, but as I write this post, the film is OOP. My Cousin Rachel, is, I think, the superior book, at least in my opinion. Rebecca is much more traditional, but it’s a wonderful book, and perhaps part of its success can be traced to the way du Maurier makes the reader feel the presence of a character who isn’t there. We feel the presence of the enigmatic Rebecca everywhere–as does the new, very different Mrs de Winter. Curiously, a surface examination of the plots of both novels yields some similarities. Both are set in du Maurier’s beloved Cornwall, and in both novels men marry women they hardly know while they are holidaying in Europe. But enough of Rebecca. 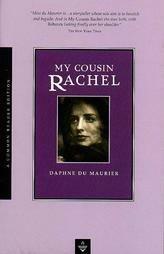 What of My Cousin Rachel? It’s easy to define the plot, but not so easy to describe what is actually going on. This is a novel that explores the dark ambiguities of human nature and the toxicity of jealousy. It’s the 19th century, and the narrator is Philip, an orphan, who is brought up by his cousin Ambrose. There’s about a twenty year difference between Philip and Ambrose, and no small degree of hero-worship is directed towards Ambrose, “god” of Philip’s “narrow world.” We only see Ambrose through Philip’s memories, but he’s larger than life, a good man, but a man with some peculiarities. Ambrose is a confirmed bachelor, and laughs at the notion of marriage and producing an heir as he argues that Philip is a “ready-made heir” for his extensive Cornwall estate. Ambrose is considered “eccentric perhaps, unorthodox,” but he’s much-loved by everyone. Philip is influenced by Ambrose’s eccentricity. He’s taught the alphabet by using swearwords, and they live in an all-male household as Ambrose will brook no female servants. The first winter came and went, likewise the second. He enjoyed himself well enough, and I don’t think he was lonely. He returned with heaven knows how many trees, shrubs, flowers, plants of every form and colour. Camellias were his passion. We started a plantation for them alone, and whether he had green fingers or a wizard’s touch I do not know, but they flourished from the first, and we lost none of them. So there are some benefits to Ambrose’s exile. Until the third winter…. What shamed me the most was the delight of his friends, their real pleasure and true thought for his welfare. Congratulations were showered upon me, as a sort of messenger to Ambrose, and in the midst of it all I had to smile, and nod my head, and make out to them that I had known it would happen all along. I felt double-faced, a traitor. Ambrose had so tutored me to hate falsity, in man or beast, that suddenly to find myself pretending to be other than I was came near to agony. Spring moves into summer, then autumn and finally winter. Still Ambrose stays abroad kept by constant delays, and finally after more than 18 months abroad strange, incoherent letters from Ambrose begin to arrive. Philip decides to go to Italy and determine exactly what is going on, but he arrives too late. His beloved cousin Ambrose is dead, and Rachel has disappeared. There are some very peculiar circumstances to Ambrose’s death, but the will, which had been changed to Rachel’s favour remains unsigned. Some time later, Philip receives word that Rachel is coming to visit. This will be an awkward visit as Philip is now master of the estate while Rachel inherited nothing. Philip is determined to hate her, and yet when she arrives, she is nothing as expected…. My Cousin Rachel is essentially a mystery, and the mystery surrounds Rachel herself. What sort of person is she? Is she evil incarnate, is evil unfairly ascribed to her, or does she land somewhere in the middle–a flawed human being with a few bad habits? That’s for the reader to decide as we line up evidence and argue for each case. Also, can we rely on Philip’s observations? Is he an unreliable narrator? Philip is certainly not as overtly unreliable as McGrath’s Edward Haggard in Dr Haggard’s Disease, but he’s emotionally involved with the situation. Is he capable of making clear judgements? I wondered how it could be that two people who had loved could yet have such a misconception of each other and, with a common grief, grow far apart. There must be something in the nature of love between a man and a woman that drove them to torment and suspicion.